Writing for Harper's and the New Yorker over the last decade, David Samuels has penned a disillusioned love song to the often amusing and sometimes fatal American habit of self-delusion, reporting from a landscape peopled by salesmen, dreamers, radical environmentalists, suburban hip-hop stars, demolition experts, aging baseball legends, billionaire crackpots, and dog track bettors whose heartbreaking failures and occasional successes are illuminated by flashes of anger and humor. 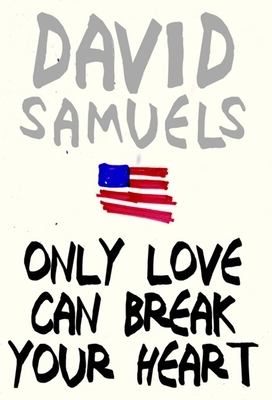 Including profiles of Pacific Northwest radicals and Nevada nuclear test site workers alongside coverage of Pentagon press conferences and the Super Bowl in Detroit, Only Love Can Break Your Heart proves Samuels to be a wonderful inheritor of the great journalistic tradition established by Gay Talese, Tom Wolfe, and Joan Didion in the 1960s. This first collection of his painstakingly reported and wildly inventive writing reveals the full spectrum of his talents, as well as an unusual sensitivity to both the tragic and comic dissonances bubbling up from the gap between the American promise of endless nirvana and the lives of ordinary citizens who struggle to live out their dreams. David Samuels is a contributing editor at Harper's Magazine and a frequent contributor to The New Yorker. He lives in Brooklyn with his wife and son.